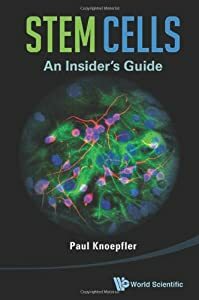 James Thomson | "Latest Stem Cells News"
In the beginning, one cell becomes two, and two become four. Being fruitful, they multiply into a ball of many cells, a shimmering sphere of human potential. Scientists have long dreamed of plucking those naive cells from a young human embryo and coaxing them to perform, in sterile isolation, the everyday miracle they perform in wombs: transforming into all the 200 or so kinds of cells that constitute a human body. Liver cells. Brain cells. Skin, bone, and nerve. The great promise of induced pluripotent stem cells is that the all-purpose cells seem capable of performing all the same tricks as embryonic stem cells, but without the controversy. However, a new study published this week (Feb. 15) in the Proceedings of the National Academy of Sciences comparing the ability of induced cells and embryonic cells to morph into the cells of the brain has found that induced cells — even those free of the genetic factors used to program their all-purpose qualities — differentiate less efficiently and faithfully than their embryonic counterparts.